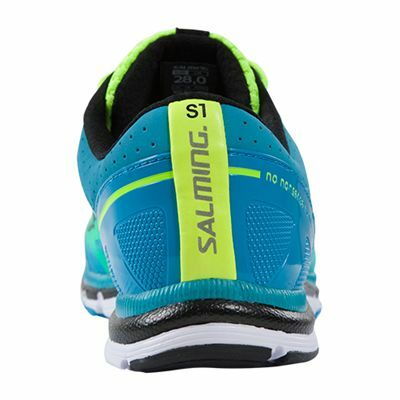 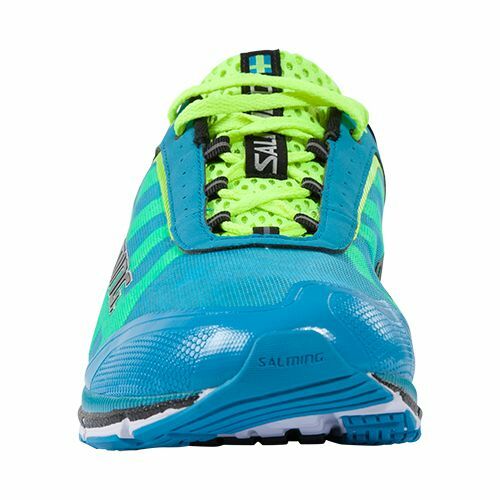 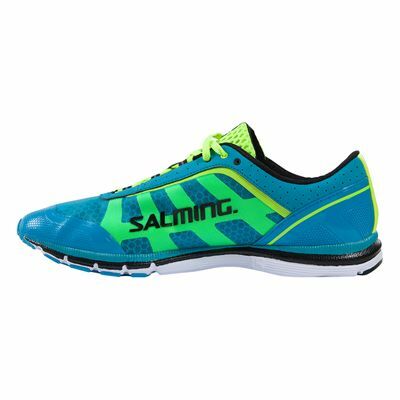 The Salming Speed men’s running shoes mix comfort and minimalism to great effect, producing a shoe that is light – weighing 210g (7.4oz) – cushioning and flexible, and ideal for both short and fast runs and longer distances. The upper uses a heel cup so that the shoes fit you better, and their Exo Skeleton design stabilises feet, reduces stress on joints and stops friction developing. The 3-layer mesh provides great breathability, and freshness and hygiene are improved by the anti-odour and anti-bacterial insole. 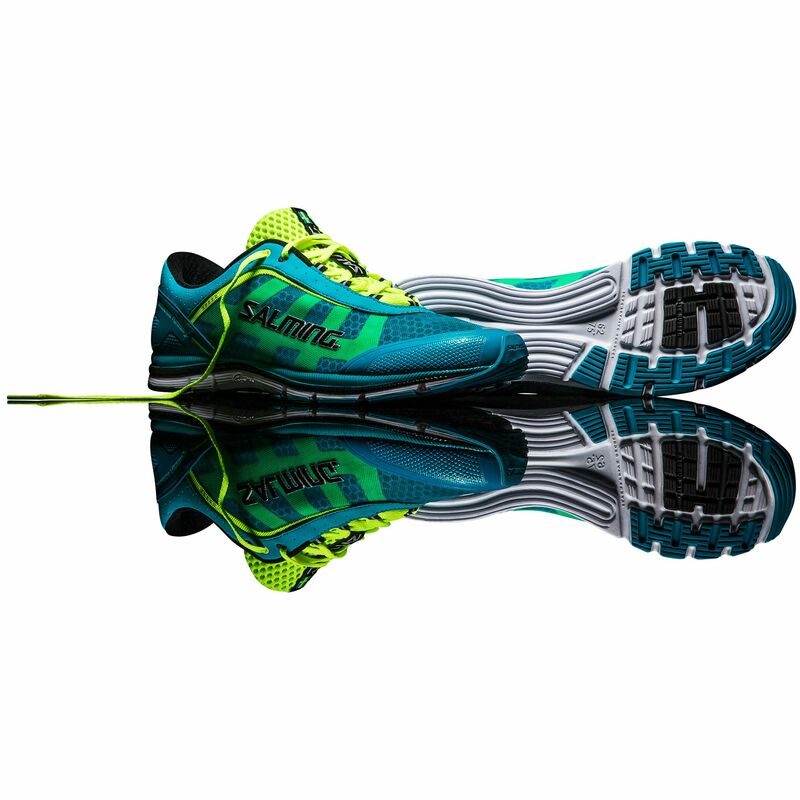 With a RunLite™ midsole these running trainers are kept light but offer great flexibility and comfort, and the durable rubber compound that strengthens the outsole ensures good ride and grip on all surfaces. 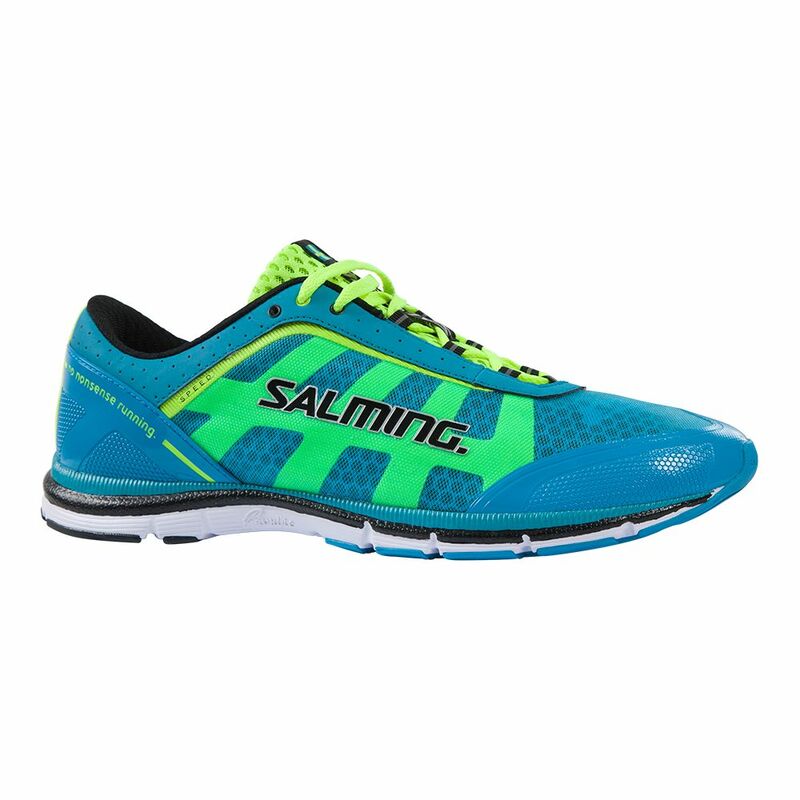 for submitting product review about Salming Speed Mens Running Shoes.